This pointed soft point cartridge features a spitzer shape profile for improved velocity and flatter trajectory. 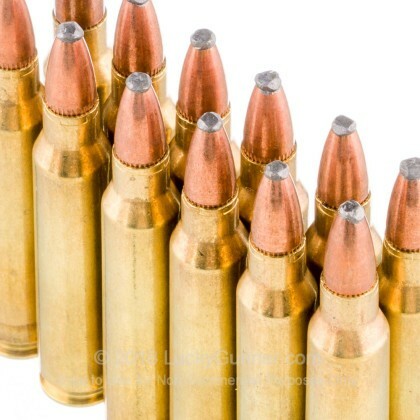 Bullet cores are mechanically locked in place to provide deep penetration. Jackets designed for progressive, reliable expansion to almost twice the original diameter. 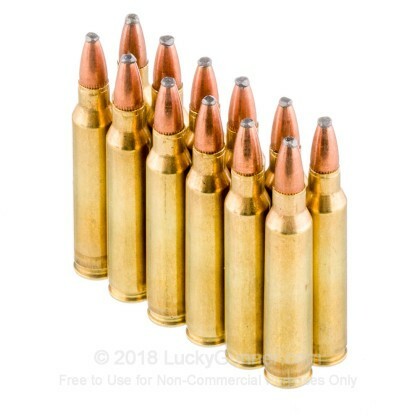 I've killed several deer with this ammunition, and I will swear by Remington's Core-Lokt bullet any day, it puts the meat on the table, if you can put the round on target. Never had a deer run, drops them in their tracks every time. Q: will this ammo ever be back in stock? 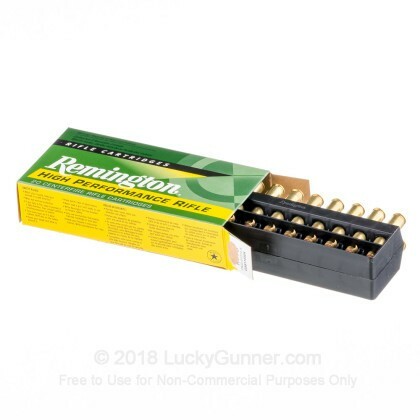 A: Bobby, we have all of the Remington .223 ammo on order. We do not get any shipping schedule so unfortunately, we cannot tell you when we expect any particular round. Keep an eye on the website. As soon as we are able to get it in, you will see it listed there for sale. 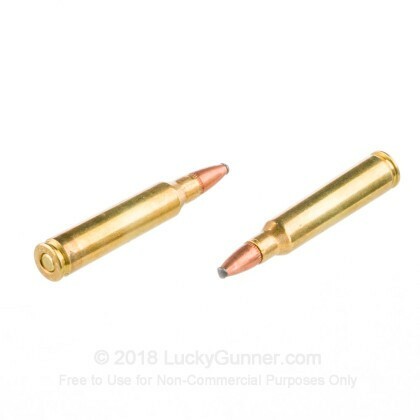 Q: the 223 Rem - 55 Grain PSP - Remington Core-Lokt - 20 Rounds the description says core lokt but the image of the box doesnt say it I have bought these before and it was indicated on the package are the ones you have in stock acutal core lokt bullets? thanks. 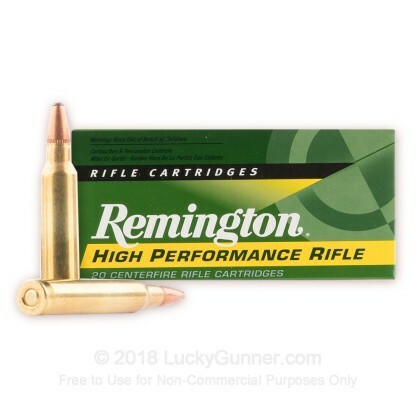 A: Remington has recently changed their packaging branding this as "High Performance Rifle". It does contain a Core Lokt projectile as the product description mentions. 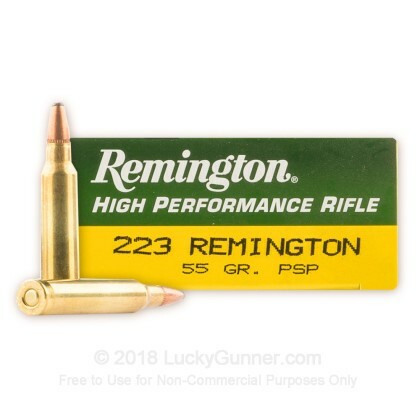 We also have this 223 Rem - 55 Grain PSP - Remington - 200 Rounds ammo in stock in a bigger quantity.